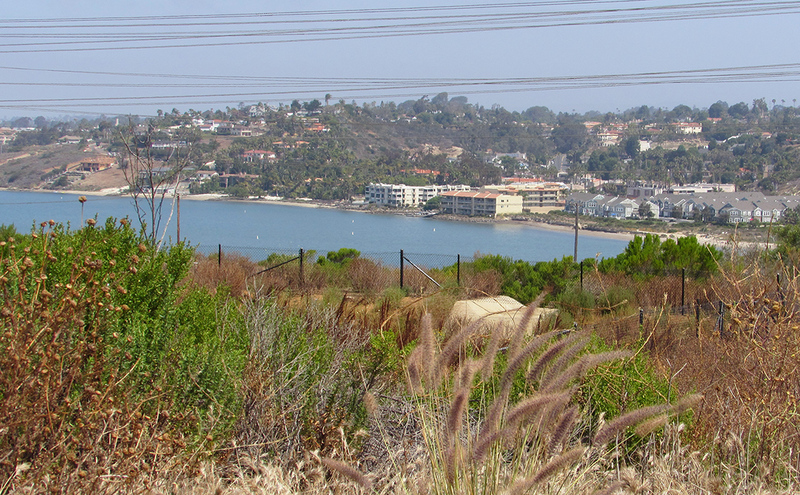 CARLSBAD — The south shore of Agua Hedionda Lagoon is once again a hot topic. Five months after the controversial Measure A was defeated in a special election, the City Council on Tuesday heard plans from city staff and residents about using the open space. This time around, Gary Barberio, assistant city manager, detailed issues surrounding 96 acres west of the proposed Caruso Affiliated mall and the fields of the Carlsbad Strawberry Company. Known as Hub Park, Barberio said the trail faces many obstacles from the California Coastal Commission, San Diego Gas & Electric as well as environmental and cost factors. “Any development is going to need permits and Coastal Commission approval,” Barberio said. The council, meanwhile, voted to delay any action to allow staff time to draw up the Trails Master Plan before forming a citizens advisory committee. Councilwoman Lorraine Wood was the lone dissenting vote, saying she wanted to create the committee to assist staff in moving forward with the plan. City Manager Kevin Crawford said staff could not take on this project, in addition to the five goals and one project the council set after its January goal-setting workshop. He did say some legwork could be conducted to lay the foundation, but stressed other projects and responsibilities would be neglected if a total commitment were approved. Several residents, though, urged the council to act as soon as possible and not wait until their next goal-setting workshop in January 2017. Mayor Matt Hall said seven months is a short period of time considering other ongoing projects such as Linear Park and the Village and Barrio Master Plan. He also said it took years, sometimes as long as 10 to 20, for other completed tasks such as Alga Norte Park. “We’ve used time as an ally,” Hall said. Barberio, meanwhile, said the city signed a 60-year lease with SDG&E, which runs through 2035, although Carlsbad has the option of four extensions through 2074. 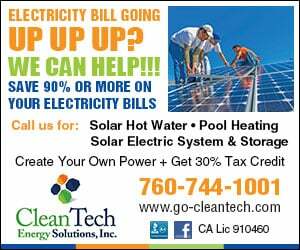 If extended, with a plan in place, SDG&E would charge up to $14,000 per year in rent to cover its property tax obligations. The cost of the trail would come from the remaining $3.7 million allocated to open space through Proposition C, which was passed in 2002 with an initial investment of $5 million. In addition, the city could opt to notify SDG&E to terminate part of its agricultural lease with the Carlsbad Strawberry Company, but must give notice of one year. Much of the strawberry farming is done on the western portion of the land, and there was some disagreement of whether it used any of the 96 acres under consideration. Regardless, Barberio said the trail could eventually connect to Legoland, Veteran’s Park, the Discovery Center and west under Interstate 5 to the beach. “It could be quite amazing with the views,” he added. De’Ann Weimer and Vickey Syage, who spearheaded the No on A campaign, presented a detailed report and cost analysis of adding a one-mile long trail within the 96 acres of land. The two said since the city already conducted numerous tests and reports regarding Measure A, those results would be acceptable to move forward to create an area open to the public. “We used the work that was already done, we didn’t reinvent the wheel,” Syage said. Their proposal calls for the one-mile trail at a cost of $424,800, which would allow for hiking, biking and include three covered picnic areas and two vista points. As for testing required by the California Environmental Quality Act (CEQA), Syage said exams would come once every 50 meters (about 150 feet), which would exceed any regulations. At minimum, Barberio said, a negative declaration would be required, and if not, then CEQA guidelines must be met and an environmental impact report submitted. “It will take a significant effort, significant time and significant resources,” he added. Artie Cohen, who was a public supporter of Measure A, said he is in favor of the trail and eventual connections, but warned the costs presented by Weimer and Syage were not accurate. He said no consideration was given to vehicle and parking access, which would include adding a left-hand turn lane on Cannon Road and Grand Pacific Drive. Cohen also said other concerns not addressed included public safety, grading, invasive plant removal and two of the three picnic areas sit underneath power lines. One resident drew snickers for her suggestion of allowing Caruso Affiliated to return to build on the 48 acres west of I-5, which would also require the real estate developer to cover the cost of maintenance for the trail. The idea is what Caruso Affiliated had proposed in its bid to construct a luxury mall for the past several years.